Guns N’ Roses resumed their Not In This Lifetime tour with their first show of 2017 in Osaka, Japan on January 21, and video from the concert has surfaced online. The date at the city’s Kyocera Dome saw the reunited trio of Axl Rose, Slash and Duff McKagan deliver their standard 23-song set of classic tracks, with emphasis on 1987’s “Appetite For Destruction” – the biggest selling debut album of all time with more than 30 million copies sold worldwide. The Osaka event marked the first of five shows in Japan this month, which will be followed by dates in New Zealand, Australia, Singapore and Thailand in February. 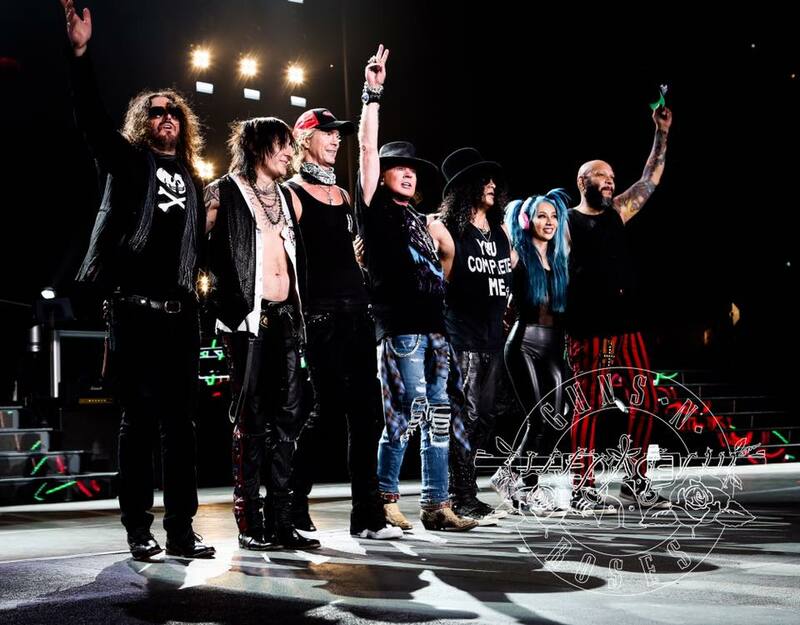 Guns N’ Roses were recently named the No. 3 Rock News Artist Of The Year as part of the 2016 hennemusic Rock News Awards.